Looking for free TV channels? Pluto.tv offers over 100 channels, all in high definition. Not a single one of them has a subscription charge. 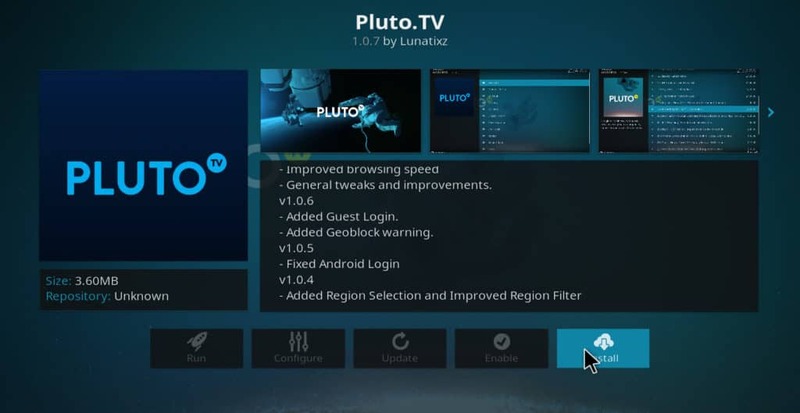 It gets even better when you use the Pluto.tv Kodi addon to combine the service with your Kodi media player. 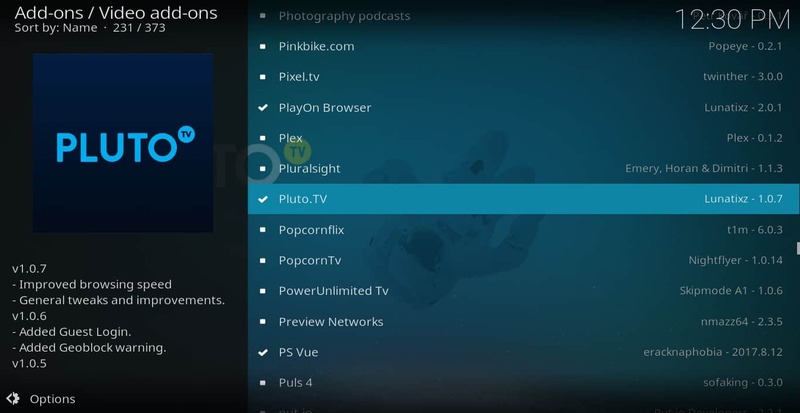 You can then access all of Pluto.tv’s channels without having to use a separate piece of software. 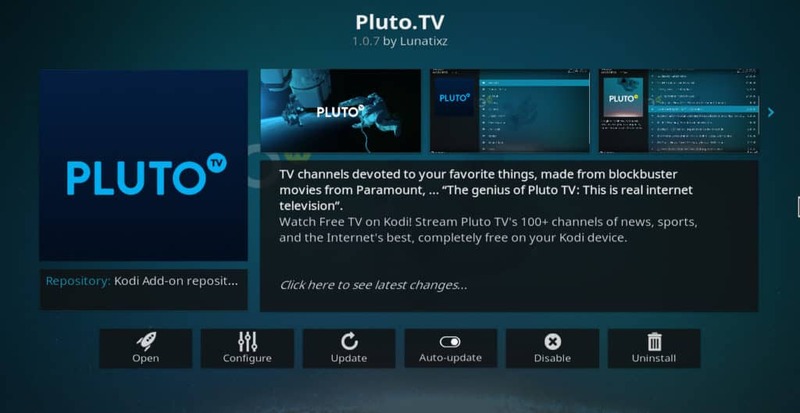 Installing and using the Pluto.tv addon is simple and easy. This article will explain how to do it. It used to be complicated for a person to get rid of cable and only use streaming services for all their TV and movie needs. A user had to switch between several different websites and pieces of software to stream content from different channels. However, the popularity of the Kodi media player has changed all of that. 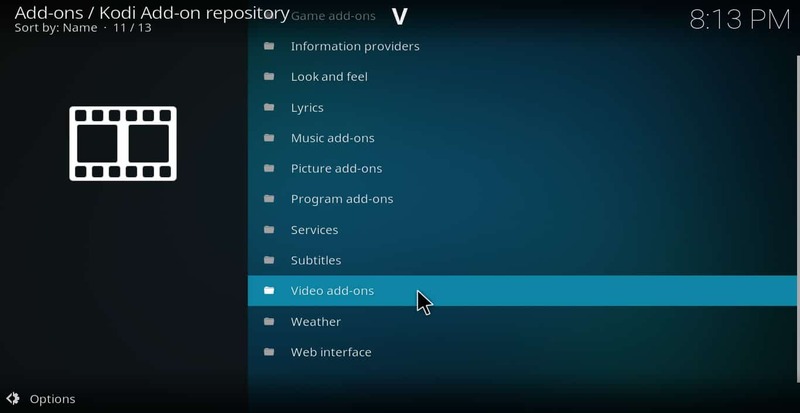 Kodi allows a person to access whatever streaming service he or she wishes to from one interface, dispensing with the need for different software. Kodi was created by a non-profit development team called the XBMC Foundation. It is an open-source platform that allows developers to create and publish their own addons. It is this aspect to Kodi that is one of its greatest strengths. 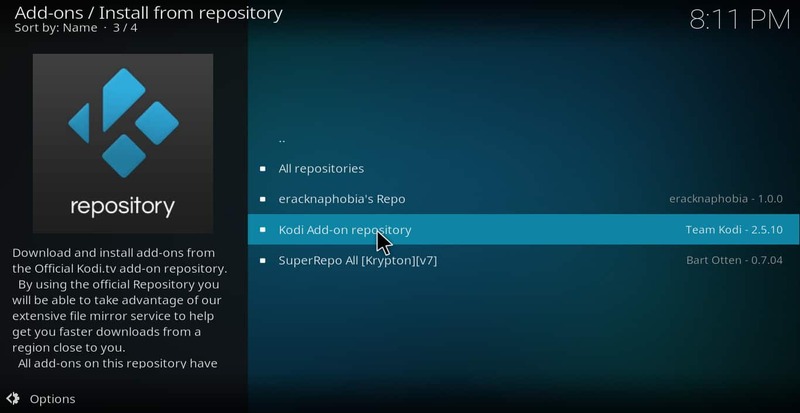 Because Kodi users are constantly creating their own addons, the list of services that can be streamed through Kodi is always growing. 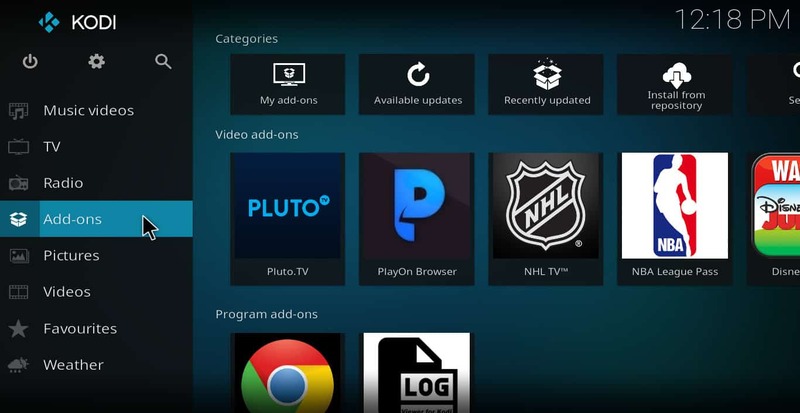 Read more: What is Kodi? Pluto.tv is an official addon, but is not without privacy and streaming-related risks. While many people who pirate content turn to a Virtual Private Network (VPN) to protect their privacy, even official addons can benefit from a VPN. 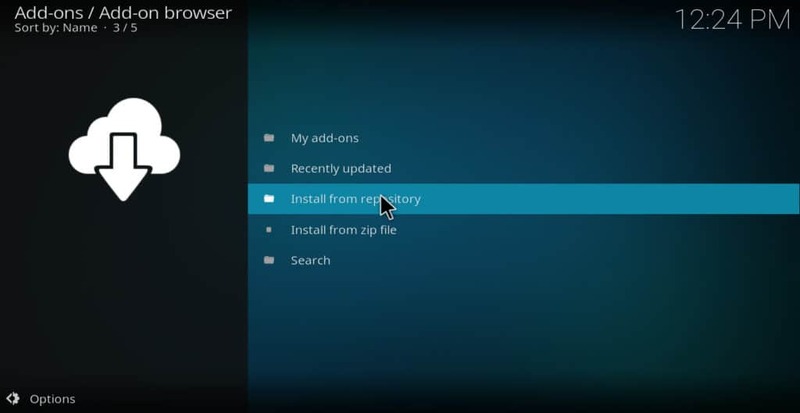 For example, Kodi sometimes has buffering problems that are not deliberately caused by anyone. But if you experience significant buffering after having tried all of the usual strategies to reduce it, you may be a victim of ISP speed throttling. ISPs often do this in order to reduce their costs and promote their own cable TV packages. Verizon has already been caught doing this once. With a VPN, your cable company can’t use your streaming habits as an excuse to throttle your bandwidth, since it doesn’t know you’re streaming in the first place. Unfortunately though, many VPNs are so slow on their own that they don’t help much with the speed-throttling issue. In addition, many of them keep logs of their users’ activities, which kind of defeats the purpose of having a VPN in the first place. This is why we recommend IPVanish for Kodi users. IPVanish has its own servers and infrastructure. In our testing, we’ve found that it is faster than other VPNs and provides a smooth video streaming experience. It also keeps no logs, so your private data is protected even if a hacker was to somehow breach IPVanish’s security. You can find out more about IPVanish in our detailed review. READER DEAL: Our readers can exclusively save 60% on IPVanish plans here. In order to install the Pluto.tv Kodi addon, follow these instructions. Click the image of an open box on the top left. 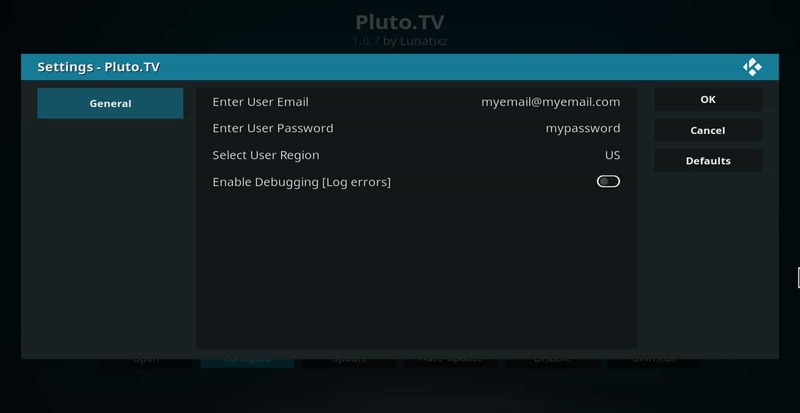 If you have a Pluto.tv account and want to enter your login info, you can do so in the “settings” menu. To do this, right-click the Pluto.tv addon and select “information.” When the information screen opens, click “configuration.” You’ll see options for entering email, password, and geographic region. However, I found no difference in the interface between using my login and signing in as a guest. If you either don’t have a Pluto.tv account or don’t want to use the one you have, you can leave the username and password blank. This will cause the addon to prompt you and ask if you want to sign in as a guest. Click “yes” to go straight to the channel menu. 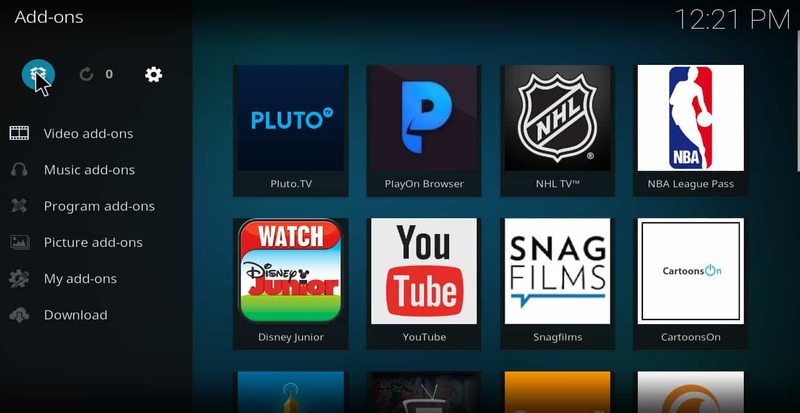 If you want a Pluto.tv account and do not yet have one, you can sign up here. Pluto.tv has a wide variety of TV channels. These channels are grouped into genres to make it easier to navigate to them. There are 11 genres total. Each of them is listed below, along with a general description of the channels that are included within it. Chill out is a collection of channels meant to play in the background while you are doing other things. It includes Internet Gold, Vibes, Monster Cat TV, THC, Eye Candy, NatureVision TV, Slow TV, and 4KTV. Each of these channels show videos of nature, funny cartoons, beautiful women, psychedelic music, and other content that is meant for passive watching. The comedy genre includes eight channels: Funny AF, Jashed, Stand-up TV, MST3K, Rifftrax, FailArmy, The Onion, and Cracked. The content on these channels runs the gamut from stand-up comedy to short sketches to funny homemade videos. If you want something to make you laugh, this is the menu to turn to. Curiosity is a collection of channels devoted to nature and science documentaries. It includes the NASA channel, Docu TV, Science TV, Xive TV, and Funky Vids. Entertainment seems to be the group that Pluto.tv puts all of the channels into that don’t belong anywhere else. There are over 12 channel in the group. It includes a channel for men called “Man Up,” as well as ones devoted to true crime, celebrity gossip, LGBT entertainment, cartoons and children’s programming, and live musical performances. If you like tech products, anime, and video games, this is a group you might want to explore. It includes IGN, CNET, MinecraftTV, Anime All Day, The Feed, Hive, Geek and Sundry, and Nerdist. Life + Style includes channels devoted to celebrity news, home decor, cooking, and travel. PopSugar, People TV, and Food TV are just a few of the channels available. If you’re looking for free movies, this is the group to select. It includes a channel for horror movies, classics, and kung fu movies. It even has a channel designed by the creators of Sharknado especially for fans of low budget, B-rated films. This group contains 32 different channels that play non-stop music. It has stations for rock, rap, 80’s music, 90’s music, country, drum & bass, punk rock, and everything in between. Some of the most popular Pluto.tv channels are in this group. It includes Bloomberg, CBSN, RT America, Sky News, Newsmax TV, and many others. There are 14 channels in this group total. This group includes channels devoted to mixed martial arts & boxing, Impact Wrestling, kickboxing, and the World Poker Tour. It also includes eight channels that carry live college sports games. Although these channels provide a lot of content, you may still want more free movies, TV shows, sporting events, and other videos. If so, you can install additional addons like Crackle, DailyMotion, and USTVNow to get even more free content.